This time its time for a revisit of city building mechanics and an introduction to Zoning mechanics and the Reward Buildings! Today we'll cover land zoning! Above: Making custom buildings & making templates! 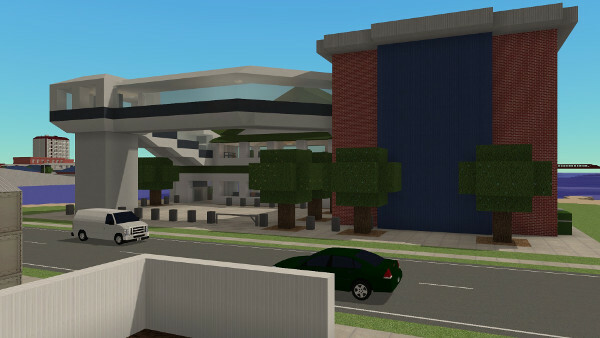 You can make you own custom buildings in-game and convert them to populated buildings! You can even save them as templates to place them like normal buildings. 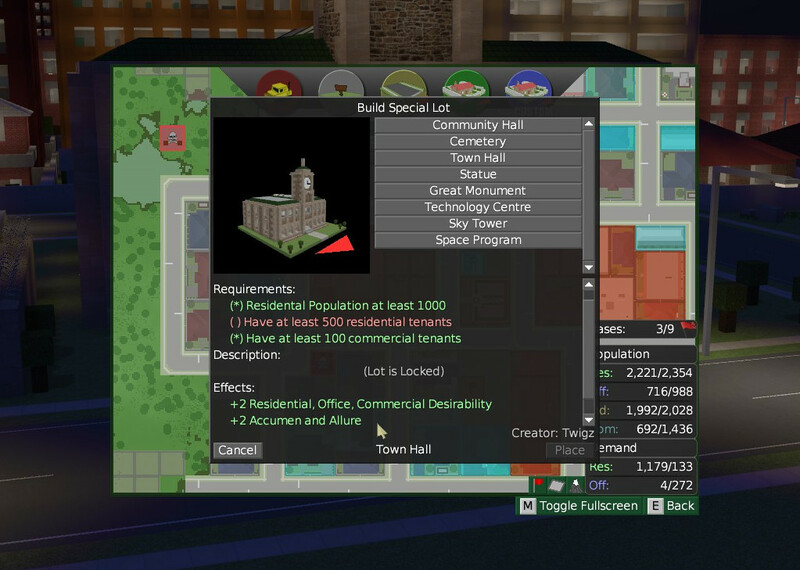 Finally if you generate a new random city your custom buildings will appear there! Zoning chance is improved with high Reputation and low Aggression. Naturally you also need to satisfy the demand requirements for the building type. For example, Industry has no demand requirements, but Residential requires Industrial population. In Turf Zero all construction and zoning costs are reduced by 75%! The income and expenses from buildings is also reduced by this too. 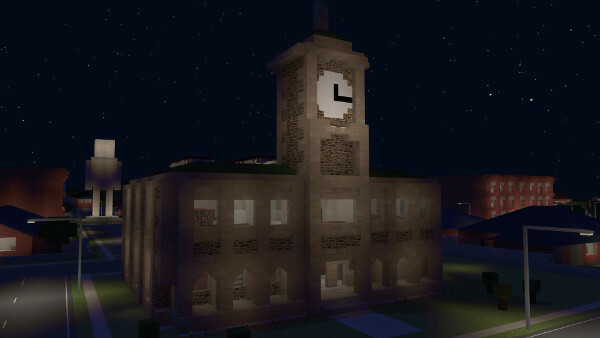 This is so that you can get your town up and running in a timely manner. You can stack this multiplicatively with the Small Town Mayor perk to help get your city up and running faster! 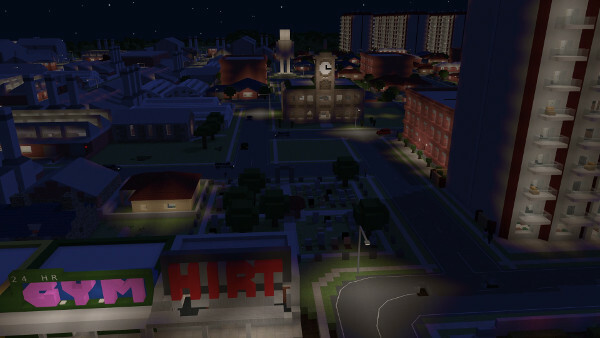 A singleplayer Turf Zero city created with zones after about an hour. 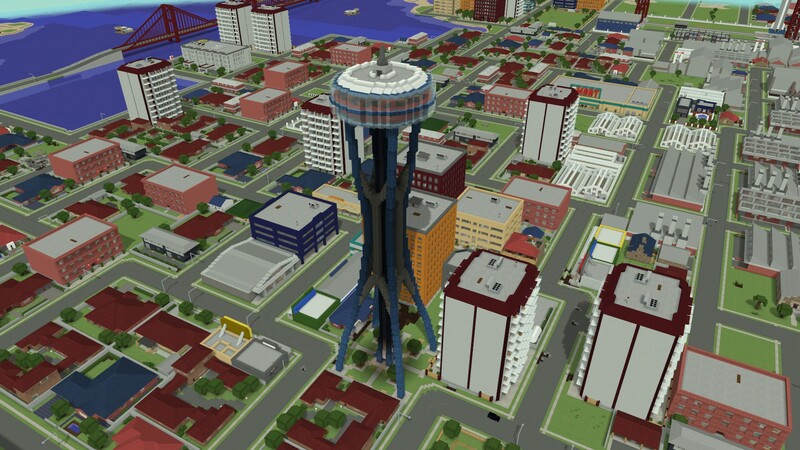 If you play with friends you can make a bigger city come together a lot faster! 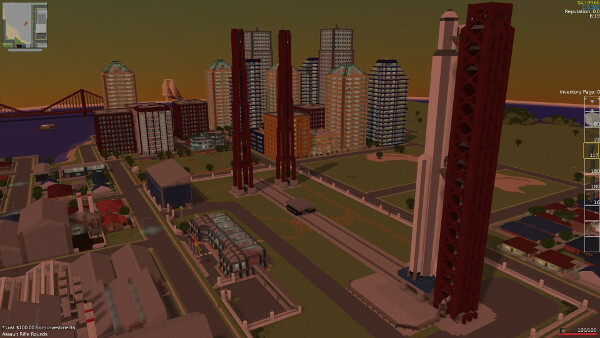 What's a city builder without reward buildings? Reward buildings give the players that own them a small economic bonus and a small stat boost. Gives +1 Acumen (Acc) and +1 Allure (Alr) stat boosts. The community hall is a hall where citizens groups can host weddings and small parties. It is unlocked quickly once the total city residential population is 75 and the residential tenants you have is at least 50. Please note that “tenants” refers to both population in Owned and Racketeered lots! The Cemetery is unlocked by killing bandits. If you kill 60 you unlock it for yourself. If you and your friends kill 60 and you kill at least 30 then you unlock it. Gives a small +2 Attack/Defence stat boost. “I'll sue you in privatised court!” With the collapses of the government many facets of the apparatus of the state to manage bureaucracy and disputes has fallen onto your character. Fortunately you've got this building to send all the squabbling parties and their paperwork too. And it looks cool! Gives +2 Desirability to owned Residential, Commercial and Office buildings and +2 Acc/Alr stats. 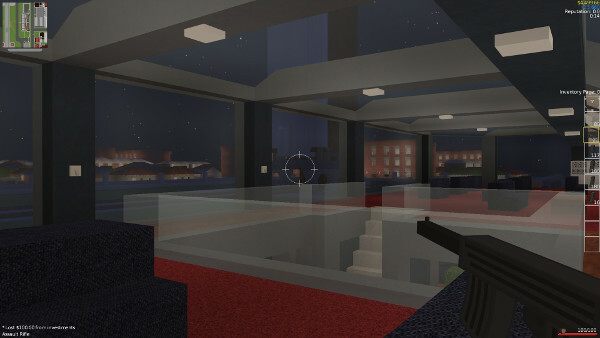 Also spawns a special “Bandits in the Town Hall” bandit killing mission. What is a city without a marble obelisk? The Great Monument is a monument to your greatness, complete with +3 Commercial Desirability and +2 Acc/Alr. Of course you need a big statue of yourself. And you need the +2 Desirability to owned Residential, Commercial and Office buildings and +2 Acc/Alr stats it gives! Your industry needs some love too! Getting your industrial population to 1500 with 1000 tenants will unlock this. This gives +6 (!!) Industrial desirability as well as +3 Acc/Alr. Spawns a special “Bandits in the Technology Centre” bandit killing mission. Okay this one's cool. Its a big disc in the sky, kind of like Seattle Space Needle, or its various knockoffs around the real world. 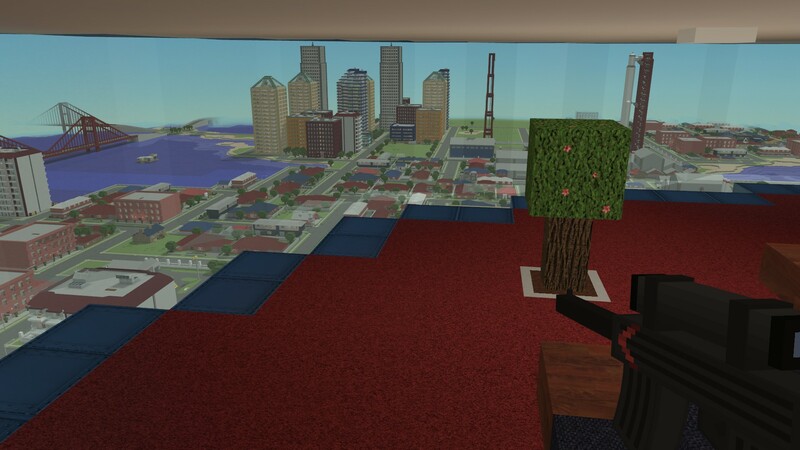 You can go high up into the viewing platform to look upon your amazing city. Gives +4 Commercial Des, +4 Office Des and +4 Acc/Alr. The economic benefits are not to be sniffed at – they give +8 Industrial Desirability, + 4 Office Desirability and +6 Acumen and Allure. In each reward building there is a hidden chest containing a weapon, a weapon mod and an Easter Egg. If you collect all 8 eggs there is an achievement! See if you can find them all! Will there be any more unique rewards added on? This looks promising and it would be cool to see even more cool unique structures, hopefully with even more unique bonuses. EDIT: Say a university that grants a free perk to any player that visits it, or maybe recycling center that gives owner tiny income for all industry, even one that owned by racketeered by them. The unlock requirements and rewards are all defined in lua (specifically scripts/common/special_buildings.lua) so in principle you can mod it to do whatever you like. Same with perks. I do like the idea of unique rewards that give you a special ability. Seeing as the game is a blend of genres its best to leverage this as much as possible, such as a building that improves your combat ability. In regards to a "recycling center"... I do have (medium term) plans for a pollution mechanic, so perhaps a more appropriate reward would be a global pollution reduction? You plan to add even more features later on? That's neat. Looking forward to checking this out. Looks solid from the YouTube vids.